Hi! It's Kelly from Teaching Fourth. I know that for some of you, your school year ended last week, but at our school, we have one more week to go. I must say, I'm ready for summer! Since it is the last week, I wanted to get a little gift for my sweet teaching friends just to let them know how much I appreciate them. 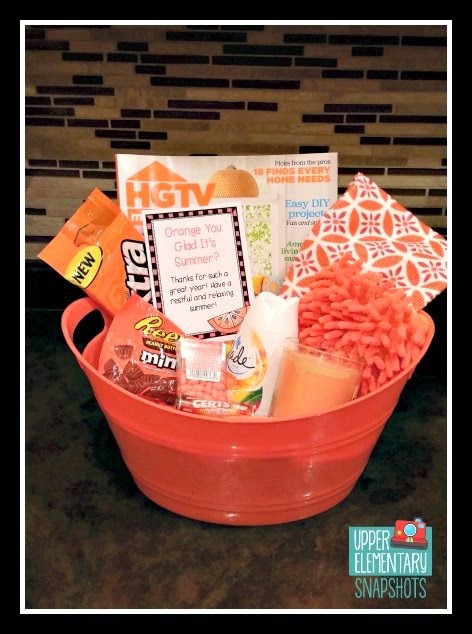 After seeing several examples floating around Pinterest, I decided to create my own "Orange You Glad It's Summer" baskets. I simply gathered several orange items (gum, candy, dishcloth, candle, magazine, etc.) and placed them in an orange basket. It is so easy to put together. Just have fun gathering items that fit the orange theme! 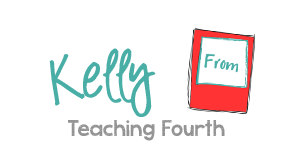 If you would like to create a gift basket for your teaching friends, your child's teacher, etc., I have included a link to some free gift tags. Just click here to download them.